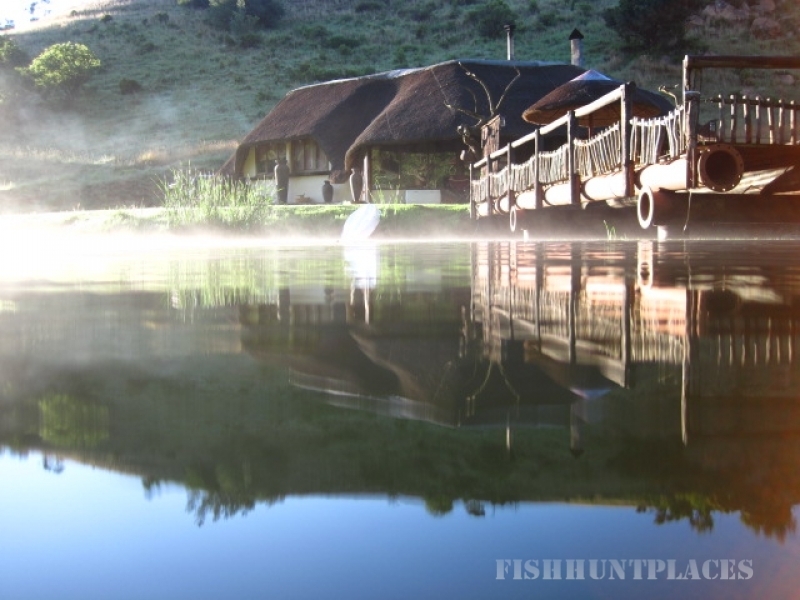 The Drakensbergkloof Trout and Outdoor farm, located near Memel in the Free State and Newcastle in KwaZulu-Natal, is certainly one of the most beautiful nature, birding and fly-fishing destinations in the world. Drakensbergkloof was rated as one of the top three facilities out of 500 on the farmstay.co.za website! 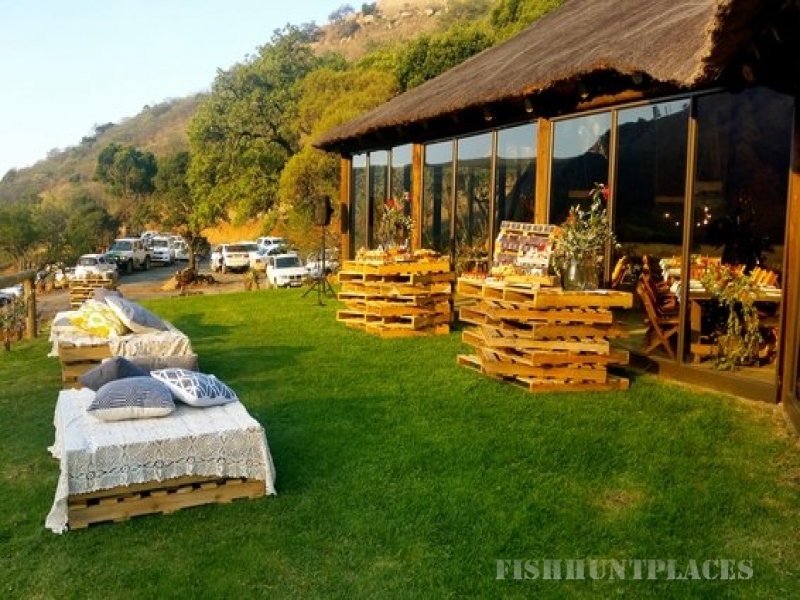 The farm nestles high in the foothills of KwaZulu-Natal's mountain range in a spectacular gorge surrounded by majestic cliffs, and boasts numerous waterfalls, beautiful indigenous forest, various game species and spectacular vistas. The morning mist often transforms this setting to a storybook dream. The real surprise is the Drakensbergkloof Chalet which is only reachable by means of a high clearance vehicle. (If you don't have one, you simply park your car at the main farmstead and your hosts will take you to the chalet). The narrow dirt road climbs and winds up and down the mountainside for almost 3 km along streams, cliffs and waterfalls to the thatched 4-bedroomed chalet alongside a beautiful dam high in the mountain. The setting is perfect and idyllic against the backdrop of a seasonal waterfall and the spacious sundeck-jetty offers care-free relaxation, birding and fly-fishing. 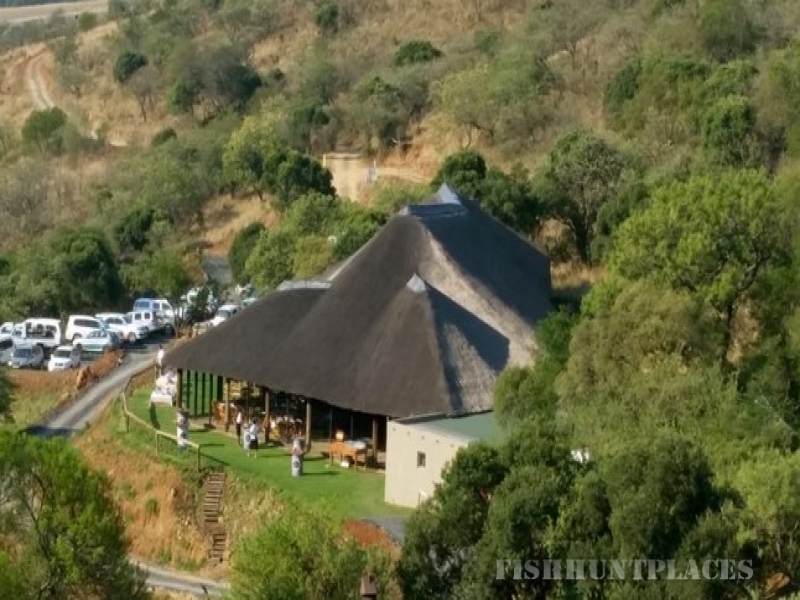 Drakensbergkloof now also features a brand new Safari camp in a stunning setting in the mountain at a seasonal waterfall with four individual safari camps, each individually covered by a thatched roof. Each unit sleeps 2 people and has an on-suite bathroom. A boma with fireplace and full kitchen is located centrally to all four units. Drakensbergkloof now has a new wedding venue and conference facilities. The wedding venue can accommodate min 80 to 300 quests. There is accommodation on the farm for 60 people and surrounding farms a further 30 people can be accommodated. Team building and conference can be hosted at the Stable's with a conference room and fully equipped kitchen and bar facilities and outside boma. The Stables have 12 single rooms (sleeps 2 people) and 5 family rooms (sleeps 4 people).